The sun was shining in Lower Hutt where over a 130 people participated in the annual 18-hole Hurricanes Alumini golf tournament. The event also featured the latest Packagoal Challenge, a time-trial event which sees people compete to see who can inflate a Junior Football Packagoal in the quickest time. Former Waikato Chiefs and Western Force prop Ben Castle emerged as the new world record holder, in a highly contested event, with an incredible time of 8.65 seconds. A new world record was set at the Northern Hills Football Pathway launch, Alex Moore Park, Johnsonville. The launch was a great success and the entertainment was in abundance. One of the more popular attractions was the Packagoal Challenge were numerous people of all ages tried their hand at trying to beat the World Record of 10.32 secs. Someone always up for a challenge was North Wellington 1st Team Coach, Kieran Cripps who set about beating the time with an incredible 10.08 secs. "It took me a few attempts and surprised myself with the speed you can get these things inflated," he said. 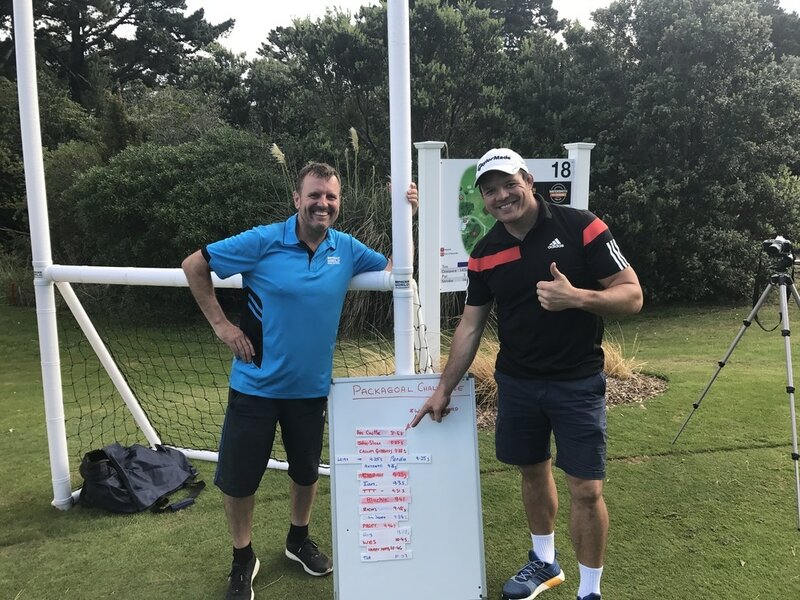 There were no flies on Physical Education NZ CEO, Ross Merrett as he ran away with a new world record time of 10.32 secs for the Packagoal Challenge. "As you'd imagine with an audience of PE and sports teachers, competition was rife. 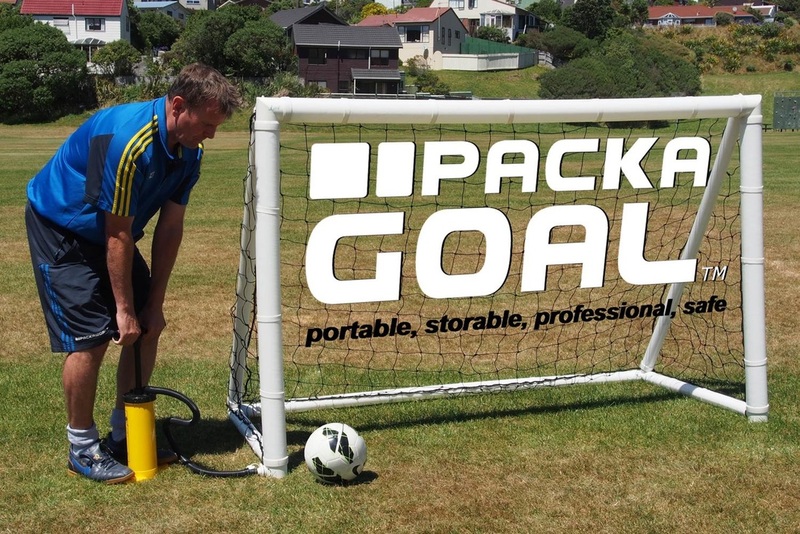 Which made the Packagoal Challenge a big hit with so many," said Packaworld CEO, Pete Roberts." Whilst we slightly altered the rules around the competition [by using a slightly bigger hand pump] the times were quite phenomenal and surprised a lot of people." History was made at the Beach Football Championships at Mission Bay, Auckland yesterday where a new World Record of 15.09 secs was recorded for the Packagoal Challenge. Brad Mann from Mangere was delighted with his Packagoal prize which "...this will definately get well used." Congratulations to Director of Sport Briar Houston of Baradene College of the Sacred Heart, who completed the Packagoal Challenge in a World Record breaking time, of 17.1 secs. Of particular interest was the 'Packagoal Challenge' where contestants competed to inflate a 6'x4' packagoal as fast as possible. "Whilst the Packagoal challenge was a fun event, it does demonstrate how quickly these things can be inflated," said Packaworld CEO, Pete Roberts " I was surprised myself at the times people posted with no one exceeding a time beyond 30 secs. I think people were also surprised at the firmness and rigidity of the inflated product."